Submitted by breadforfun on April 2, 2015 – 12:10pm. 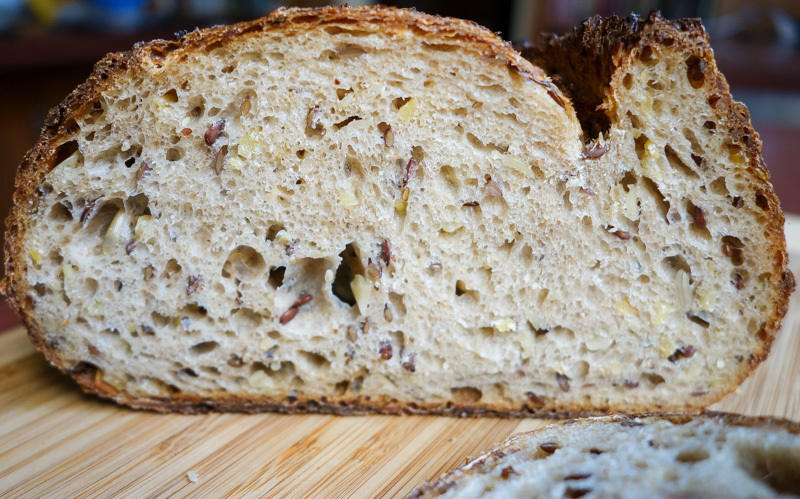 Hamelman’s 5-grain Levain is one of our favorite breads. My wife and I always have some on hand in the freezer (it freezes quite well), ready to toast a slice for breakfast or for a sandwich. It also lends itself to all kinds of variations since it is easy to modify the ingredients and relative amounts of the soaker. 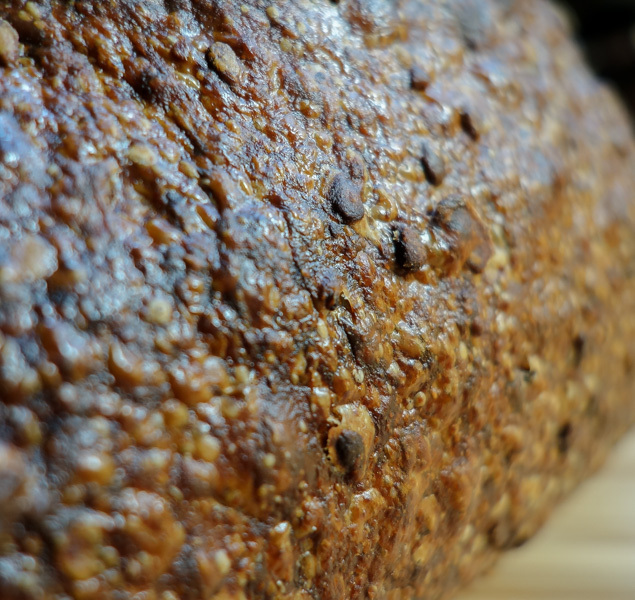 I have used cracked rye (as called for in the original recipe) and have also had success with bulghur wheat. This time, inspired by this post earlier this year, I tried it with freekeh, something I just recently discovered. Freekeh is green durum wheat that is lightly smoked, so I was hoping to impart that smokey flavor to the bread. Another variation this time was when making the levain, I doubled the amount of the seed starter, shortening the fermentation time to reduce the acid formation and yield an overall sweeter bread. The two loaves were retarded in the refrigerator overnight and baked after resting at room temperature for an hour or so. The bread is really delicious, although the smokiness is not as pronounced as I had hoped. The sweetness nicely complements the dark caramel of the crust. I will make this again and probably increase the amount of freekeh in the soaker for a more smokey character.